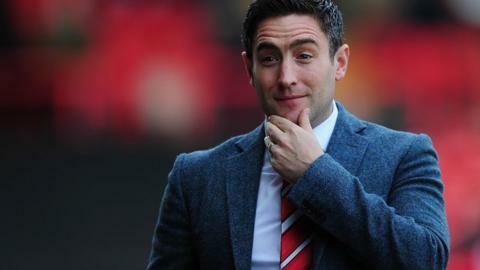 Some young players lack the social skills to communicate well, according to Barnsley manager Lee Johnson. Former Oldham boss Johnson, who took over at Oakwell in March, has a squad with an average age of just under 23. He told BBC Radio Sheffield: "It's a real problem, not just in football but society, people seem to lack the social skills to express themselves. "That's why the Championship is full of 27 to 32-year-olds who can dig somebody out to get the best from them." He added: "You can improve people technically and you can motivate for a short period of time but generally people will revert to their natural personality." Johnson, whose side are seven points outside the play-offs in League One, said teams in the lower leagues could struggle to build a good team spirit because of the number of players they utilised in a season. The Tykes have used more than 40 players this campaign after being relegated from the second tier last season. "You can work on the team spirit and the atmosphere if you make sure you don't use 42 players, like we have this year," he said. "Generally in the lower leagues there is a high turnover of players because clubs are going year-to-year and that makes it difficult to have a real team spirit. "You need to have an atmosphere where people can have an argument and then go out for a drink not never talk to each other again."